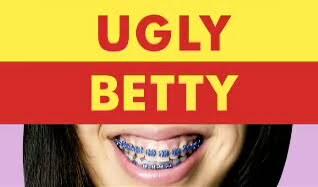 我痴●我蠢: Ugly Betty, ugly rating? Yes rumour has it daniel and betty will become an item (matt and betty just broke up - is it just me or what, matt looks like john groban?). i am sad to see this series come to an end, but all good things must come to an end. the ratings keep dropping and moving around the time slots doesn't help. at least the writers have been given enough lead time to tie up the loose ends. on our chinese cable here, from time to time, we saw the mainland chinese version of ugly betty. now, this adaptation is truly hideous and so not funny.